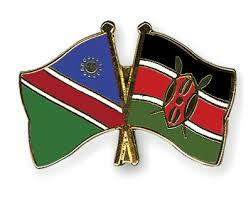 Namibian President Hage Geingob has called for stronger trade ties between his country and Kenya. “That means there is potential for growth. There is a room for improvement, especially in the area of transport and logistics,” Geingob said. He said Namibia would benefit from Kenya’s long experience in transport and logistics. “Kenya’s experience in making Mombasa a port of choice for most East African countries could be a good lesson to Namibia, as we strive to make the port of Walvis Bay a premier regional destination and a gateway into Southern Africa,” Geingob said. Kenyatta is leading a business delegation that is on a five-day official visit to Namibia. The two leaders earlier held bilateral talks on how to strengthen bilateral relations between the two countries. The talks centred on how Kenya and Namibia can enhance cooperation in the field of education, agriculture, health, defence and aviation.